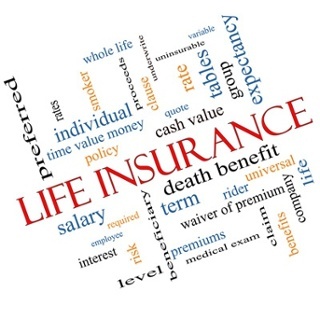 The life insurance industry is very competitive with hundreds of companies offering policies. This is a benefit for the consumer, because competition tends to aid the buyer; however, this can also be seen as a detriment because the range of choices can make finding the right policy from the best company daunting. Your search will be easier if you consider four basic criteria in making your selection—rates, budget, service, and stability. Rates: Because it is such a competitive business, life insurance rates vary greatly from company to company. Find three to five policies with attractive rates for the amount of coverage you desire. Budget: Once you’ve found these policies, be sure the premiums are within your budget. It doesn’t make any sense to go forward with any of these contracts if you aren’t going to be able to afford them. Service: In determining the quality of each company’s service, you can do two things. If you are going through an agent, you’ll be determining the quality of that person’s service when you talk to them about the benefits of buying specific policies. The same is true if you buy directly from an insurance company without going through an agent. Do they answer your questions clearly? Do they seem to know what they are talking about? Do they leave out important information? By considering at least three companies and/or agents, you’ll be able to compare their ability to answer questions and to give you their undivided attention. Along with interviewing potential agents and companies, you can check with your state insurance department to see how many complaints, if any, they have received concerning the company and/or agent. Stability: An insurance company’s economic stability is directly connected to their ability to meet their future financial obligations. In other words, you want to make sure an insurance company will be able to pay your death benefit. The following companies rate insurance providers’ fiscal soundness. After going through these four steps you should be able to compare each company, agent, and policy and make an informed choice. One more important place to check for affordable life insurance is your employer. Many businesses offer very competitive group rates, usually for term life policies. Some people will say that you can never have enough life insurance. However a common rule of thumb is to buy at least five times your yearly income. Many policies include a double indemnity clause, which means your beneficiaries receive double the value of your death benefit if you should die suddenly in an accident or due to some violent event. In asking yourself “how much is enough,” you’ll want to make a list that includes yearly expenses, large debts (such as a mortgage), and long-term or future expenses (such as college tuition). You’ll know you’re adequately covered if your death benefit provides for large debts, with enough left over for at least one year of living expenses and for investing or sheltering for long-term or future expenses. Finally, you need to decide what you want to get out of your life insurance. Is it simply a specific period of coverage with a large death benefit or do you want your life insurance to be part of your long range fiscal planning? Considering and answering all of these questions will help you find the policy that’s right for you.